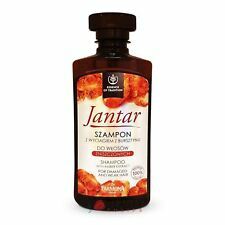 Jantar Shampoo with Amber Extract 330ml. Apply a small quantity of shampoo on wet hair, and gently massage until foaming. Then rinse. Amber extract, vitamins A, E, F complex, Inutec - a natural prebiotic. COVER WITH HAIR MASK,COMB YOUR HAIR AND LEAVE CONCENTRATE AND THE MASK FOR 10 MINUTES. WASH OFF WITH LUKE WARM WATER WITHOUT SHAMPOOING. RECOVER CONCENTRATE. PRO FIBER | 2 X 15 ml. Frequently heat styled. 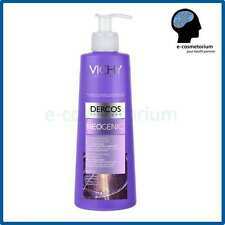 Vichy Dercos Neogenic Redensifying Shampoo 400ml. How does Vichy Dercos Neogenic Shampoo work?. AQUA (WATER), AMMONIUM LAURYL SULFATE, COCAMIDOPROPYL BETAINE, SODIUM CHLORIDE, ALCOHOL DENAT., BENZOIC ACID, CITRIC ACID, DIETHYLLUTIDINATE, HEXYLENE GLYCOL, HYDROXYPROPYL GUAR, HYDROXYPROPYLTRIMONIUM CHLORIDE, POLYQUATERNIUM-30 SALICYLIC ACID, SODIUM BENZOATE, SODIUM HYDROXIDE, PARFUM (FRAGRANCE). 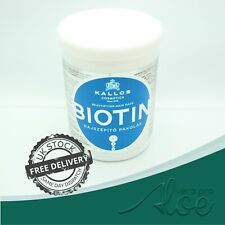 BIOTIN Beautifying Hair Mask Nourishing 1000ml. Biotin has a Special Rich Formula with Biotin Deeply Nourishes and Thickens Thin, Weak, Lack-Lustre Hair from Root to Tip. 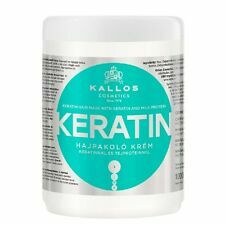 GLISS KUR HAIR REPAIR. WITH LIQUID KERATIN COMPLEX. SERUM DEEP-REPAIR. INSTANT REPAIR MASK. Massage into wet hair from root to tip and rinse thoroughly. Smooth onto wet hair, leave on for 1-2 minutes then rinse thoroughly. Revitalises hair fibres, leaving hair stronger and more manageable. A super strength saviour to get deep down into the cortex to help build, repair and rehydrate BREaKiNG HAiR. Lee Stafford. LEE STAFFORD. JANTAR Hair and scalp conditioner. Conditioner Jantar inhibits hair loss, stimulates their growth and nutrition. JANTAR Odżywka z wyciągiem z bursztynu. Odżywka Jantar hamuje wypadanie włosów, stymuluje ich wzrost i odżywianie. L'oreal Professional Serie Expert B6 Biotin Inforcer Conditioner 1000ml Condition is New. It is a result of a long tradition of using the unique properties of amber. JANTAR KURACJA W AMPUŁKACH DO WŁOSÓW ZNISZCZONYCH Z WYCIĄGIEM Z BURSZTYNU 5 x 5ml. Kuracja w ampułkach Jantar do włosów bardzo zniszczonych i słabych zawiera wyciąg z bursztynu oraz wyjątkowe składniki odżywcze, dzięki czemu wzmacnia i odżywia włosy. Joanna ARGAN OIL Hair conditioner 2phase in Spray with Argan oil Special Care Hair/ 150ml. Joanna ARGAN OIL - odzywka do wlosow dwufazowa z olejkiem arganowym / 150ml. Two-phase conditioner Argan Oil is intended for hair that needs special care. Bottles that should fit through your letterbox! Amazing value for this shampoo. Three units of 250ml. Protects against breakage for 5x less split ends. Reconstructs hair from the inside. 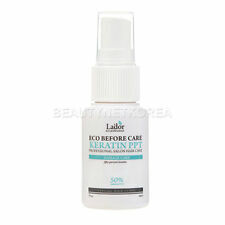 With keratin repair actives. Nexxus by Nexxus Caviar Serum for your Hair 60ml Concentrated Protein . Ideal in combination withKallos Chocolate Shampoo. Mask Provides Intense Softness and Shine. Introducing the new L'Oréal Professionnel Serie Expert Inforcer Shampoo, for strengthening fragile hair. Inforcer reinforcing shampoo is designed to target breakage and split ends, leaving hair soft and healthy. RECONSTRUCTION AREA PRODUCTS REPLENISH THE HAIR DEEP DOWN WITH ACTIVE INGREDIENTS THAT WORK DIRECTLY INSIDE THE CORE OF THE SHAFT: THE CORTEX. WITHOUT COMPROMISING SHINE. Consolidates, strengthens and replenishes, increasing resistance to breakage. Joanna KERATYNA odzywka do wlosow w sprayu z keratyna / 150ml. Joanna KERATYNA hair conditioner spray with keratin / 150ml. Twoje wlosy lamia sie i krusza?. Sa szorstkie, zle sie rozczesuja, brak im witalnosci i zdrowego wygladu?. Natura Siberica. Arctic raspberry is a rich source of vitamins and essential amino acids that nourish and repair hair structure. Aqua, Sodium coco-sulfate, Lauryl glucoside, Cocamidopropyl betaine, Panthenol, Hydrolyzed rice protein, Rosa damascene flower water , Rubus arcticus fruit extract, Stearyl citrate, Coco-Glucoside, Glyceryl oleate, Sodium chloride guar hydroxypropyltrimonium chloride, Citric acid, Benzyl alcohol, Dehydroacetic acid, Sodium benzoate, Potassium sorbate, Parfum, Citronellol, CI 14720. It features a formula specially developed for Asian hair. It contains damask rose extract to hydrate. Elegant, luxurious fragrance. Type Shampoo. CHIA OIL - Eliminates dry scalp, reduces itching of the scalp and prevents hair loss. You can heat up the dryer before applying the towel. After 20-30 minutes, rinse thoroughly. Produkt sprawdzony ekologicznie spelnia wszsytkie kryteria dla Vegetarian i Vegan. PURE Keratin Collagen Hair Mask. Pure Keratin Collagen Hair Mask. Good Pricing. 100% Original. 500 ml / 16.9 fl. Babushka Agafia. Regenerative Shampoo. Shampoo was prepared on the basis of the original recipe Siberian herbalist grandmother Agafii. Usage: Apply shampoo to wet hair, massage until a foam, rinse with water. Type Conditioner. Combined with 6 plant derived ingredients with 100% Andes pure organic oil and botanical flower oil. For a more beautiful and smooth finish with every use. UPC Does not apply. For sale Loreal elvive dream lengths heat mask. TIGI Bed Head Urban Antidotes Resurrection Shampoo 750ml. - TIGI Bed Head Urban Antidotes Resurrection Conditioner 750ml. 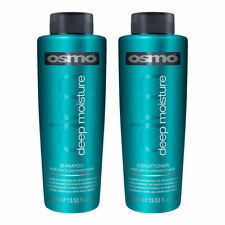 Use as a system of Shampoo, Pre-Conditioner and Conditioner for maximum results. Cleanse: Apply Total Results Re-Bond Shampoo onto wet hair. Seal: Without washing off pre-conditioner, layer Total Results Re-Bond Conditioner on hair. (KALLOS KJMN PROFESSIONAL. 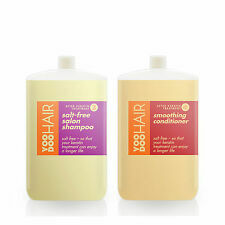 HAIR MASK & SHAMPOO (1000 ml 1000 ml). To use: Massage shampoo into wet hair,wash and rinse it thoroughly. Try and you will see :). Pro Fiber Revive by L Oreal Hair Serum Gel 75ml for Slightly Damaged Hair . Inforcer Masque, for strengthening fragile hair. With a Biotin and B6 vitamin-enriched boost, this reinforcing masque is designed to target breakage and split ends, leaving hair soft and healthy. Inforcer Masque is enriched with Biotin amd B6 – known for their strengthening properties. The potent formulas with Peptides nourish, restructure and repair hair from the inside out. The inner structure is fully replenished with renewed elasticity, resurfacing cuticles for remarkably healthy-looking hair with a soft silky feeling. BIOLAGE R.A.W. RECOVER SHAMPOO 325ML. 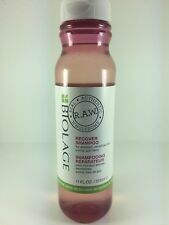 Pamper stressed and wanting hair with theBiolage R.A.W. Recover Shampoo. Enriched with Yucca and Goji Berry extracts, it leaves hair feeling replenished and healthy with enhanced shine and vitality. Bilka Hair Tonic Against Hairloss Nettle&Walnut &Silver Birch&Menthol 200 ml.